I’ve proven myself on multiple occasions that I am not the best baker in the land. I hate all the measuring and leveling and science that it requires. I’m a throw-in-what-I-feel-like kinda girl. I’m stubborn and I do what I want in the kitchen. I think that the real problem is rooted in the fact that I really only bake when I’m bored, and boredom usually leads to red wine before it results in baking. 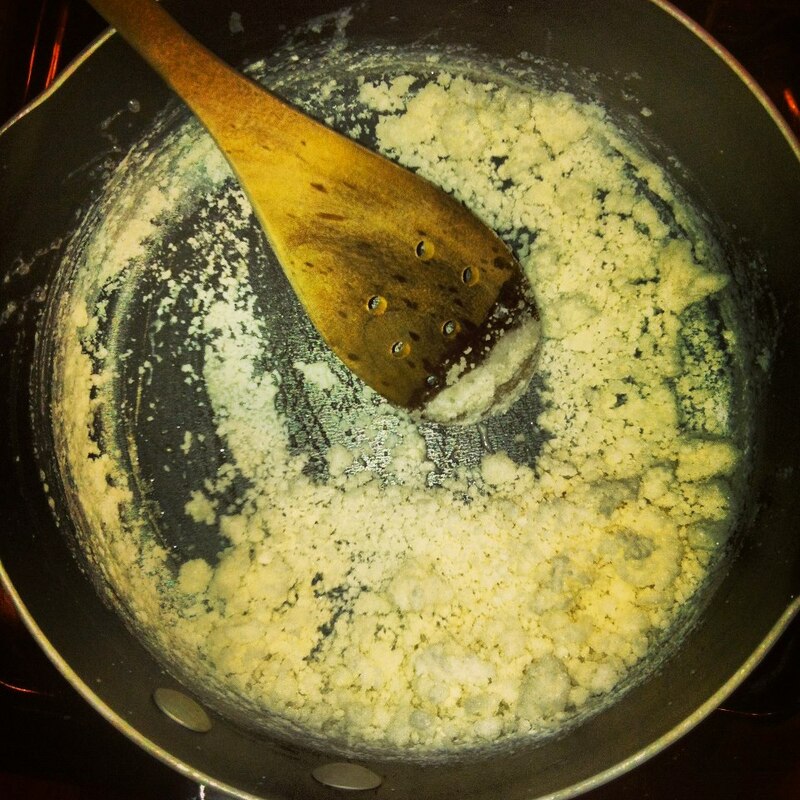 [Home… Bored… Wine… Still Bored… Baking… More Wine… Recipe?… Nah… Oh Yea- Baking… WTF happened?… Oh well… Wine.] See where I’m going with this? 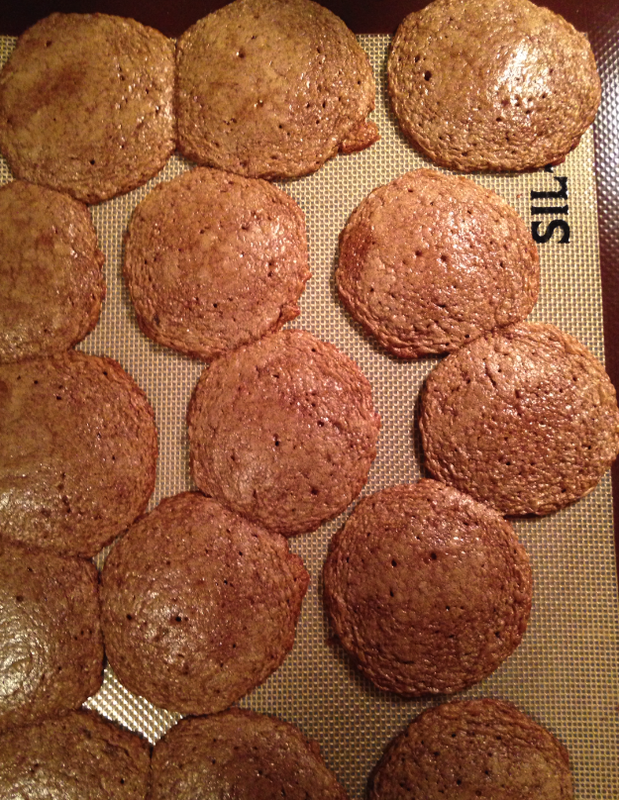 And that is how you get these…..
You know what though – I’ve found this one recipe that is pretty impossible to screw up. There is no sifting flour or white vs. wheat or oil or any of that stuff that is so easy to mess up for me to mess up. Quick and delicious… in the same sentence… as baked goods?… yes, it does exist. And yes, you should make them…today. Preheat your oven to 350 degrees. Mix together your peanut butter, sugars, egg, baking soda, and vanilla until well combined. 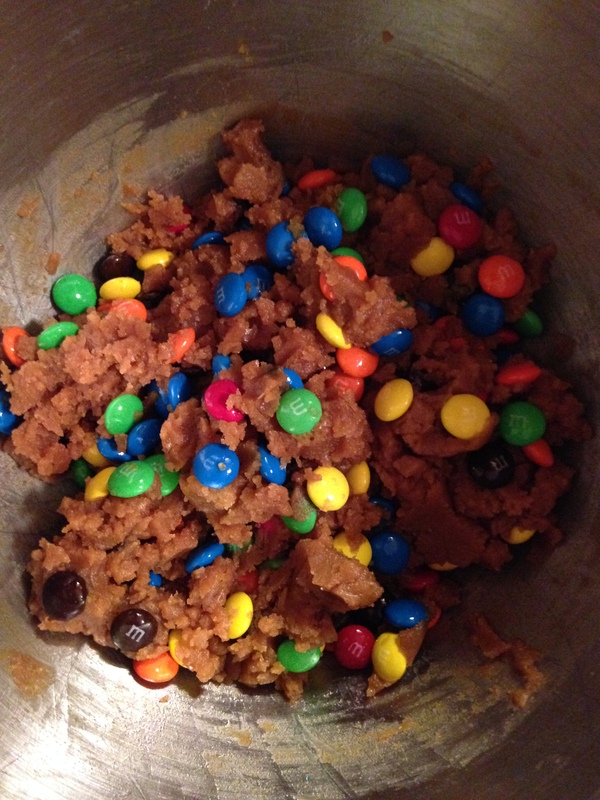 Pour in your candy of choice and stir the thick mixture with a spoon. I used a tablespoon to measure out equal cookies onto a prepared baking sheet- bake for a quick ten minutes and then take those gooey, yummy cookies out. 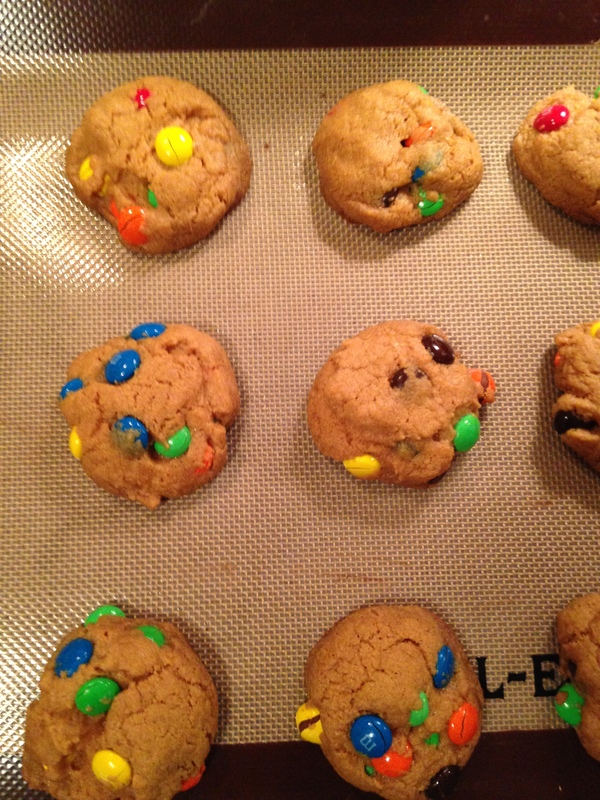 Let them rest on the baking sheet for about 5 minutes so that they can firm up before moving to a cooling rack. Quantities will vary based on how much batter you choose to eat before baking- but regardless, this recipe will make you a bunch of cookies! I know you have all of those ingredients somewhere in your pantry/ on your shelves/ leftover from Halloween in your bedroom….calling your name! 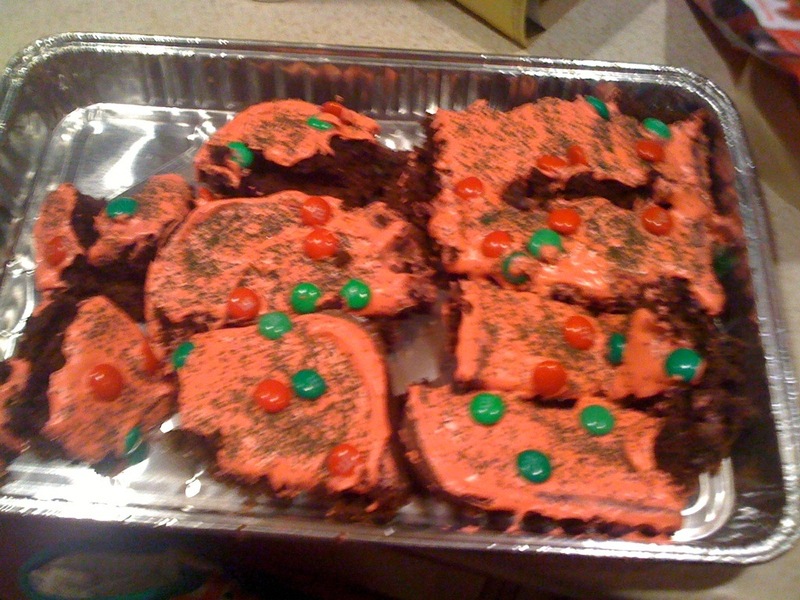 Make some of these today.